Four-piece alternative hard rock band from Orange County, California. Edge of Echoes has crafted an ethereal, dynamic, and powerful sound. Heavy rock grooves, euphoric tones, and heartfelt lyrics and melodies characterize the project. 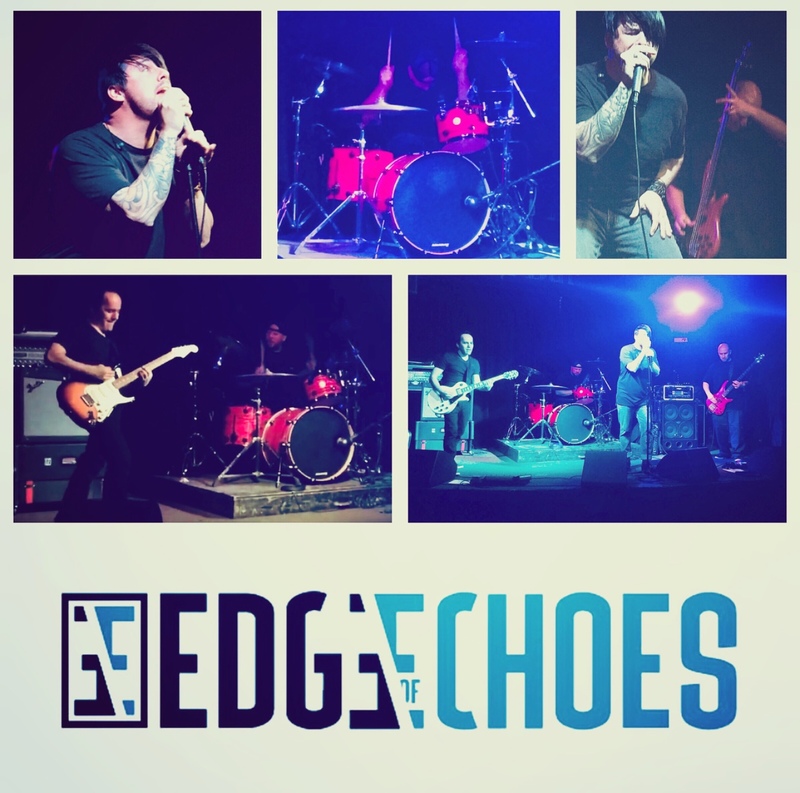 EDGE OF ECHOES is an alternative hard rock band from Orange County, CA featuring Lamar Engel (Vocals), Jon Scarpa (Guitar), Russ Fyne (Bass), and Shawn Yeager (Drums). The band formed in 2017 as they watched the world begin to shift and change in a way that acceptance of the human spirit, individuality, and a passion towards purpose were no longer the norm. They were united by the electricity felt as they created music together; shattering these barriers, which became the catalyst for their ethereal, dynamic, and powerful sound. In 2018 the band began playing live throughout Southern California, winning over fans with their energetic performances, while continuing to focus on creating new music and recording their debut album “Electric from Within”, released in the winter. EDGE OF ECHOES debut album “Electric From Within” finds the four piece alternative hard rock band from Orange County, CA featuring Lamar Engel (Vocals), Jon Scarpa (Guitar), Russ Fyne (Bass), and Shawn Yeager (Drums), having created an ethereal, dynamic, and powerful sound. Heavy rock grooves are countered with hypnotic, intricate, and euphoric tones, while heartfelt melodies and intense lyrics elevate this musical journey through space and time, exploring many complex themes and human emotions. EDGE OF ECHOES “Electric From Within” begins with Paper Tigers dealing with fighting hard times through determination, while The Price of Life compares self-inflicted sickness as a cry for help. The siren song Symbiotic touches on grief and denial brought about from the passing of a loved one, while Circles quickly pulls the listener in with navigating the complexities of trust and emotional vulnerability. EDGE OF ECHOES “Electric from Within” 2nd act starts with Dark Skies, which recounts childhood upbringing and working through tragedy, while The Prize fights back to overcome all barriers. The album finishes with Turn Out the Lights dealing with battles of mental health, while Hyperreality closes the debut with the ultimate choice of life over death. These charged elements drive the EDGE OF ECHOES “Electric from Within”, as an album to remember.